Happy Valentine’s Day to my lovely friends, readers and those who serendipitously stumbled here! I’m glad you found my blog and are spending some time with me. I recently reunited with Kristina and Josh at Vanity Studios in celebration of the day of love. 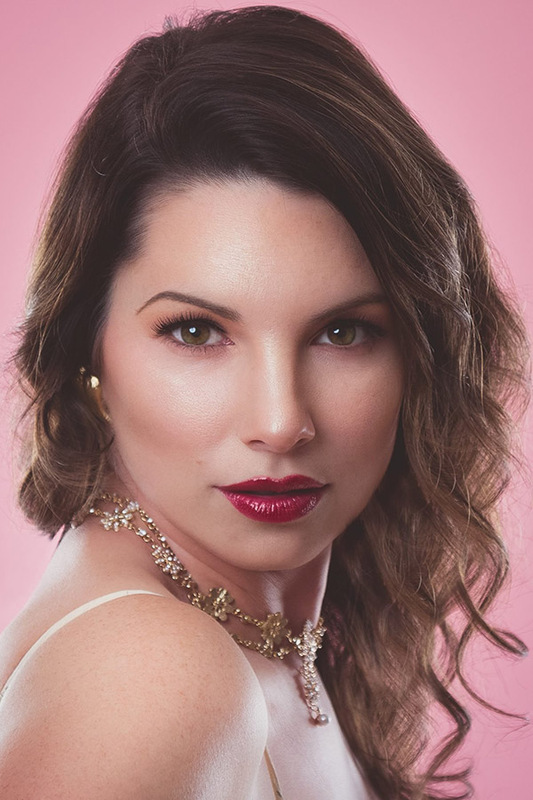 Kristina, a super talented and creative makeup artist, came up with two Valentine’s Day looks. The first idea was a soft, romantic look, suitable for champagne and a candlelit dinner, using spring’s hottest hue, peach! Let me tell you, this color is flattering on just about everyone. I adored how it warmed my face with a soft glow. I immediately knew what I wanted to pair it with – a new-to-me, thrifted slip dress by Hugo Boss from House of Dow. On my first expedition to the new vintage store, I fell in love with this dress and its floral print and lace trim. Josh, a skilled photographer and master of lighting, set the scenes and captured the shots. He and I developed a rhythm that put me at ease. They are both fantastic to work with and I highly recommend Vanity Studios for your next close-up, family portrait or professional headshot. In order to put my best face forward, I gave my skin a bit of pampering using It Works’ plant-based skincare line. 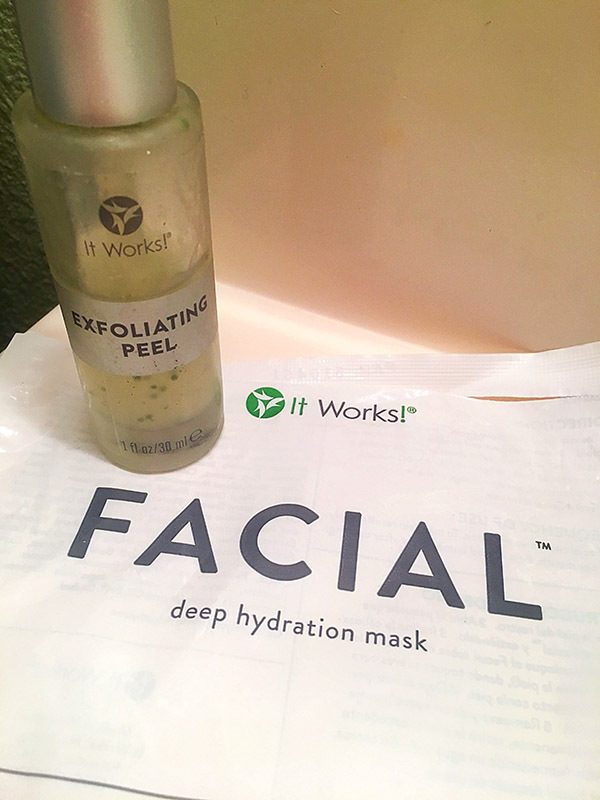 I exfoliated with the It Works Exfoliating Peel to remove dead skin, lessen the appearance of imperfections and leave my skin softer and smoother. I followed the treatment with the It Works Facial, which is a deep hydration mask that tightens skin, softens the appearance of fine lines and wrinkles and moisturizes. Combined, this at-home spa treatment rejuvenated my face, rolled back the years and provided a better canvas for Kristina to work her magic. Thank you, Kristina and Josh, for another wonderful experience and these lovely photos! To book your next photo shoot with the dream team or see their portfolio, click here. To learn more about It Works plant-based health and wellness products, click here.